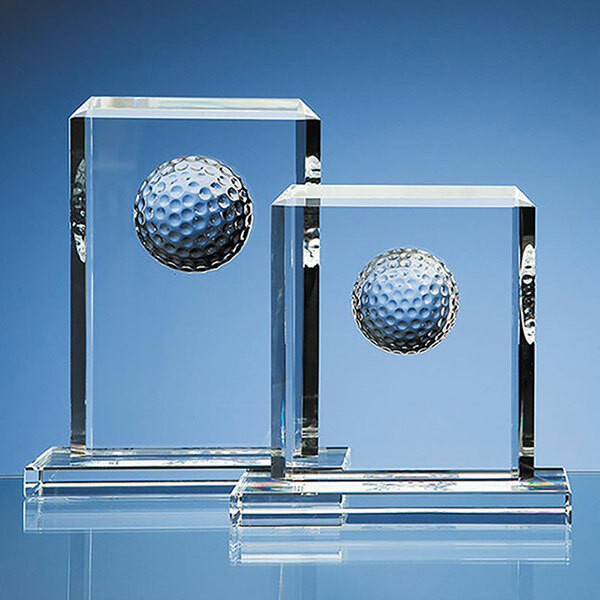 190mm (7.5in) tall crystal golf award featuring clear optic crystal flat rectangular plaque with half golf ball inset, mounted on a rectangular crystal base. Offered with low-cost engraving. A stylish and contemporary crystal golf award, ideal for a wide range of golfing prizes and occasions. 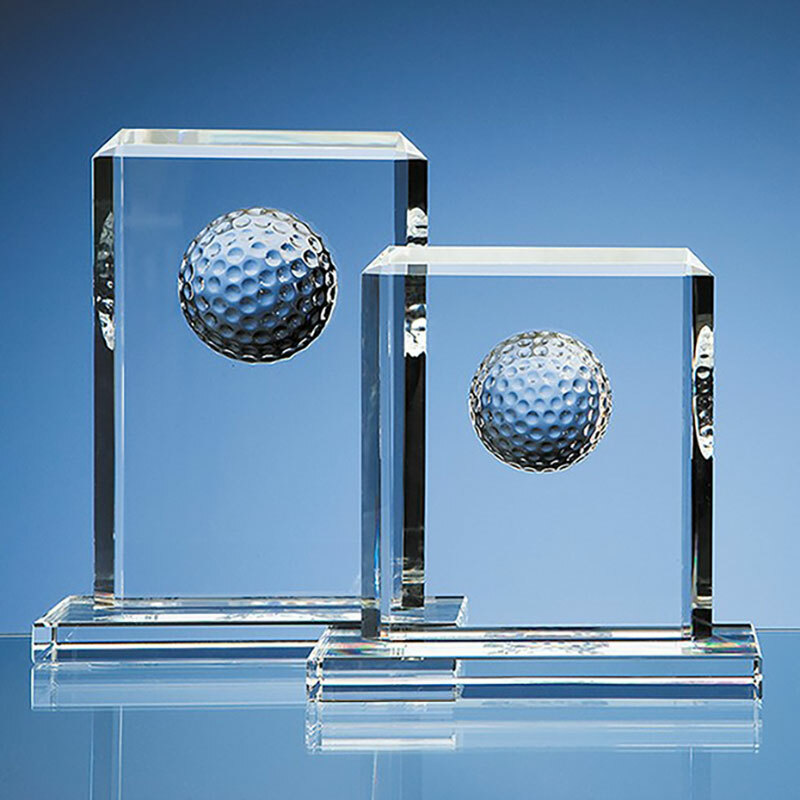 These awards feature a rectangular clear crystal plaque with a half golf ball inset, and mounted on a clear crystal base. The flat front of this 190mm (7.5in) tall by 150mm (6in) wide plaque can be engraved to create a custom golf award or personalised golf gift, and they are offered with Low-cost text and logo engraving. Create golf day prizes, golfing clubhouse awards, or corporate golf gifts with your club logo, company logo, or sponsor logo along with details of the event or achievement.